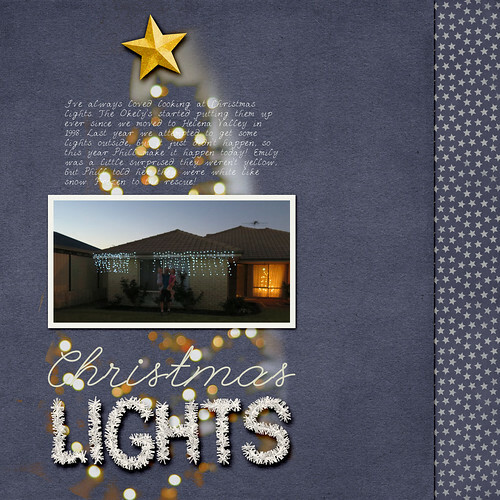 Back in January I posted my plans for scrapbooking in 2015. So, the question is… How did it go? My #ScrappingSunday and Wednesday afternoons were a success. Although I didn’t scrapbook every single week – they were a great fall back plan. In fact I often ended up doing some other kind of creative activity even if I didn’t scrapbook. 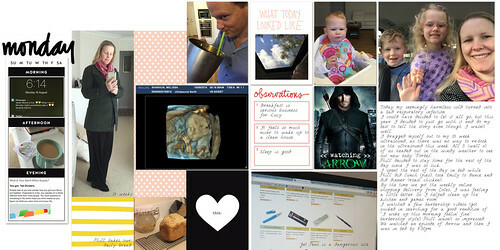 I completed Layout a Day challenges in both February (28 layouts) and October (31 layouts) this year. So that plan worked! I will say that I didn’t scrap much in March and November though, I was a bit worn out! During both those months I scrapbooked mostly from my ‘to do’ list but if a specific prompt inspired me I ran with that too. One of my goals for 2015 was to finish my third child’s baby book. 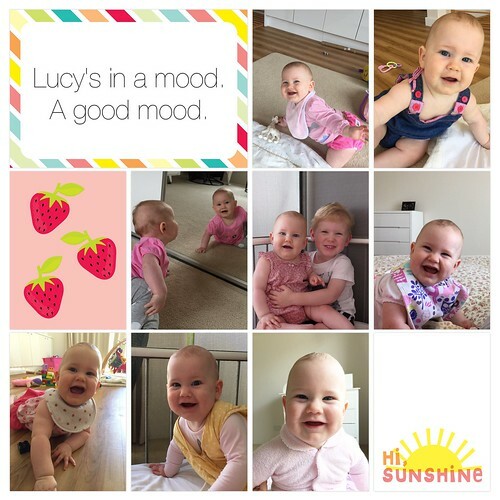 I created about 10 pages to finish Lucy’s baby album. I even managed to get it printed before she was 13 months old! 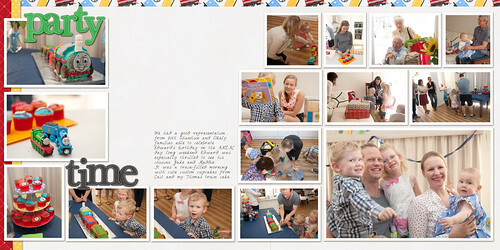 You can read more about my approach to baby albums here. This success was huge for me, especially as we found out in May that we were expecting baby number 4, who is due to arrive any time now! I will be adding another baby book to my to do list in 2016! I changed my plan and went back to traditional digi-scrapping for Week in the Life this year rather than the app. As it turned out I was very ill that week on top of morning sickness so I scrapped just four pages out of 14. BUT, I did blog my photos and words. My aim was to complete my 2014 Christmas album this year. I did manage about 30 layouts, and looking back have just got two more events I want to include. I’ve been also working on my 2015 December Daily Album. 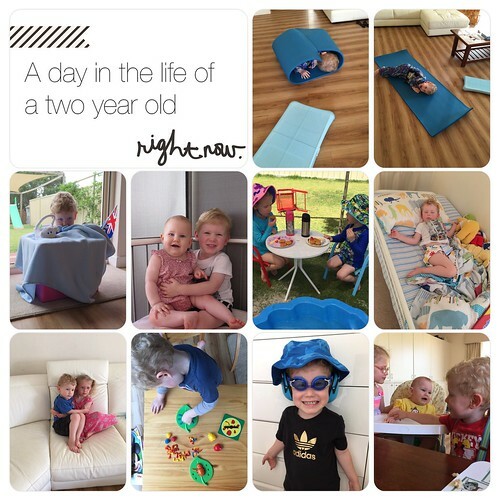 and one for Lucy with the Project Life App. 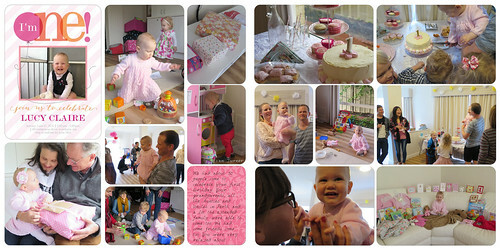 Usually I include a lot more journalling on my pages, but I’m not going to complain about two pages of cute photos! 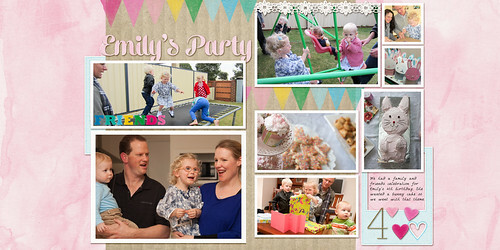 I made two layouts with our family photos. 4 pages about me and my husband, events, stories and the early years. One thing I didn’t do this year was print as many layouts as I’d like. I had a bit of an intervention from Jennifer Wilson in this podcast episode. So I did order about 100 pages of my completed layouts from Persnickety Prints. I filled another few albums with them! I also printed Lucy’s first year album a few times for gifts. I will set aside time to get my pages printed in 2016. In fact, I’m adding a recurring event in my Google calendar right now! My scrapbooking, photo management and supplies processes are still working well for me so I’m going to keep using the same basic process. The key for me is automation. I need my computer to do the heavy lifting for me: importing photos, supplies, tagging, face recognition, color based searches etc. You can learn more about how I manage my photos and supplies in my classes here at the Daily Digi. I need to balance between the fun of community projects and my own ability to finish what I start. One thing I learned from Week in the Life was that I do better keeping up with daily projects when I have a pre-defined design. Although my creative self longs to run free, I tend to enjoy a finished project more than a super creative one. So I’ve already implemented that idea with my December Daily 2015, and am using Janet’s templates the came with the Digi Files this month. I will keep this in mind for my future projects too. 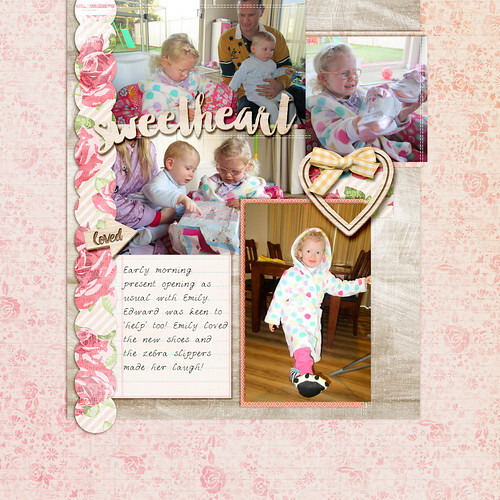 With a newborn in the house scrapbooking may take a back seat for the first few weeks of the year, but I am aiming to scrap another few albums worth of pages in 2016. Making time – and setting reminders in my calendar. Keeping a running list of page ideas – so I always have a page idea on hand for challenges like Layout a Day. 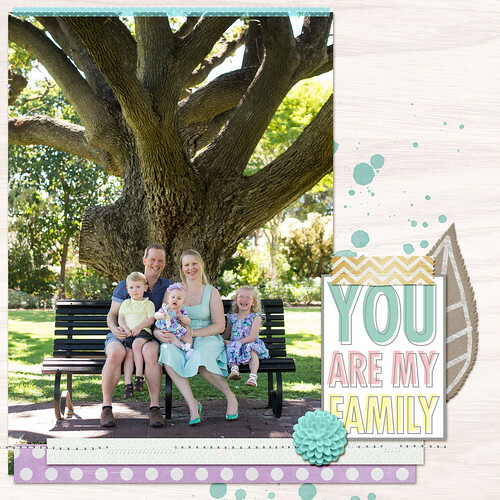 Printing my pages – so my family and I can enjoy them. Shopping my stash – to save time and money. Choosing simple designs for daily projects – so I don’t spend all year working on Week in the Life! Done is better than perfect – In the end I love having more pages rather than the ‘perfect’ page. 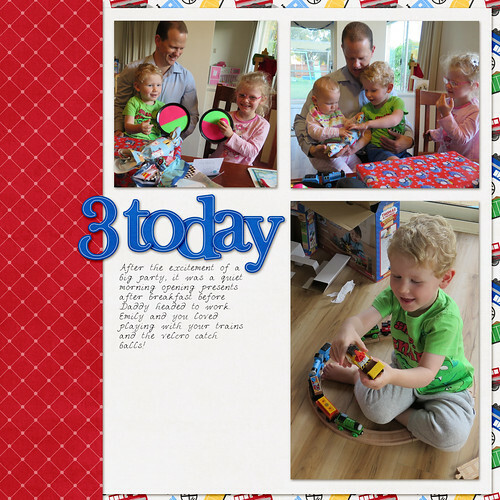 Keep it fun – Even with a bit of planning, scrapbooking can still be fun! 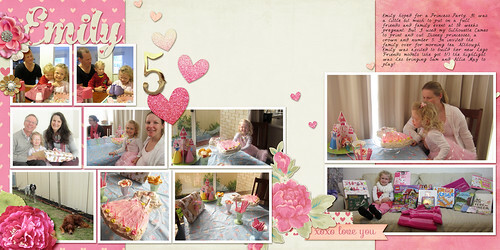 I keep things light and breezy and still love scrapbooking! 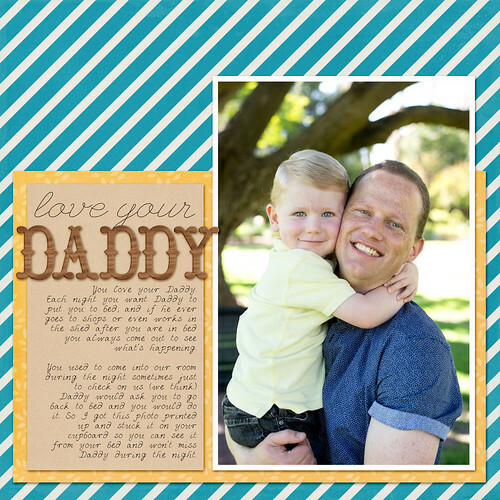 What’s important to you for your scrapbooking? Make sure you include time and space for your favourite parts in your plans. So what do you think about planning your scrapping? Ready to give it a go in 2016?